The end-users of climate data are growing in number and becoming more diverse as more countries commit to take action on climate change. To produce policy-relevant data, scientists have to understand decision-makers’ needs for specific kinds of evidence- providing that data in an easy-to-use format. User-friendly climate science starts with an awareness of key policy questions, focuses on the data that will reveal relevant impacts, and interprets the results in terms of the decision to be made. Governments not only need access to climate data, but technical support on how to apply it. This support should include clear statements of what is available, its scientific pedigree, its underlying assumptions and limitations, and guidance on how to use it- and how not use it. 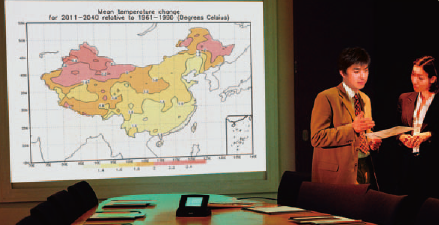 This briefing was prepared by Roger Street, UK Climate Impacts Programme (UKCIP) and Xu Hongmei, China Meteorological Administration (CMA) based on on-going research as part of the Adapting to Climate Change in China project.